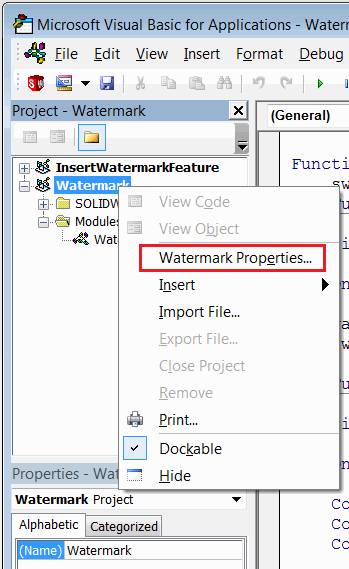 This article will explain how to embed a watermark feature in any model using SOLIDWORKS API to protect intellectual property or indicate that the model is to be used under the special conditions. This can be useful if license needs to be embedded into the model which cannot be edited by 3rd parties. 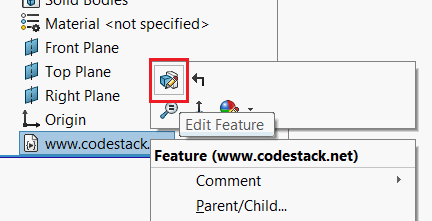 The inserted feature cannot be deleted, suppressed, removed or changed by user interface or API. 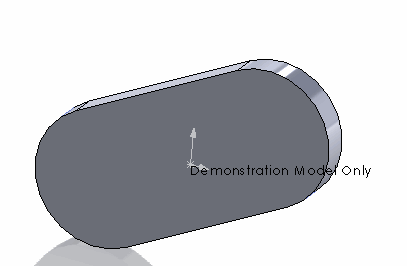 The feature can be inserted into any SOLIDWORKS model (part, document, drawing or template). Feature is fully embedded into the model. Const WATERMARK_MACRO_NAME As String = "Watermark.swp"
Const SECURITY_NOTE As String = "www.codestack.net"
Const BASE_NAME As String = "Watermark"
vMethods(0) = watermarkMacroPath: vMethods(1) = moduleName: vMethods(2) = "swmRebuild"
vMethods(3) = watermarkMacroPath: vMethods(4) = moduleName: vMethods(5) = "swmEditDefinition"
vMethods(6) = watermarkMacroPath: vMethods(7) = moduleName: vMethods(8) = "swmSecurity"
MsgBox "Failed to create watermark feature"
Change the security note in the constant to be displayed as read-only non-modifiable note. 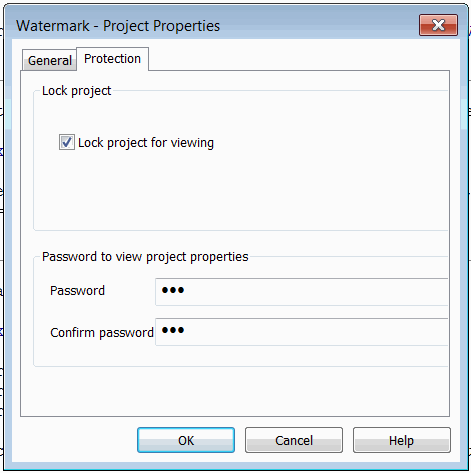 Const MESSAGE As String = "Sample model by CodeStack"
Const FEATURE_NAME As String = "www.codestack.net"
Const MESSAGE As String = "Watermark Feature by CodeStack"
Assign the password to the watermark macro so it cannot be changed by users.